Lahore, June 6: A Pakistani journalist was beaten up by unknown persons in Lahore, the capital city of Punjab province. Asad Kharal, an investigative journalist, was thrashed by some masked armed persons near Allama Iqbal International Airport Lahore on night between Tuesday and Wednesday. He received multiple injuries and was rushed to Services Hospital Lahore. In his tweet Asad Kharal (@AsadKharl) said: I have been attacked by some person wearing masks, I am in hospital. SP Cantonment Lahore Bilal Zafar said they have received a complaint that some unidentified men tortured Kharal. He said police are probing the matter. 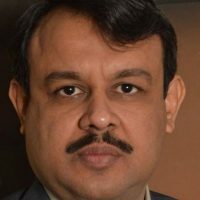 Asad Kharal, who is also an anchorperson at BOL TV, is known for his investigative reporting about corruption in Pakistan.